One of our strongest foundation stones, upon which our company has been built, is our superior after sales service. We continue to look after our customers after the purchase of their car and this is the reason why so many of our customers continue to choose to deal with us time and time again. We have invested in the latest electronic equipment which allows us to diagnose faults to the engine management systems of most modern cars, reset service indicators and conduct live road test analysis in order to determine fault codes or performance related problems. 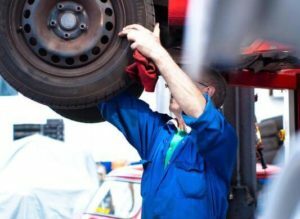 Not only do we carry out routine servicing, but we also specialize in the fitting of tyres, exhausts and brakes at competitive prices together with more complex replacements, e.g. clutch renewal, timing belt replacements, etc. 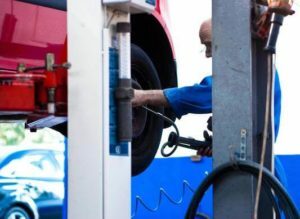 When your car needs it MOT inspection our service department will be very happy to take care of the complete procedure right from making the initial MOT appointment at the Inspection Centre through to preparing your vehicle and presenting it at the appropriate time, thus relieving you of the hassle of your annual MOT. The aim of the Service Department is to facilitate your needs and, whether this is the collection of your car from your home, workplace or the use of one of our courtesy cars, we will be happy to satisfy the individual needs of our customers. We are happy to discuss your requirements in any of these areas. If you would like a quotation, or wish to make an appointment for work to be completed, please contact us. Please note the service department is closed on Saturdays.